Please join us on November 26 at Trinidad Rec Center! 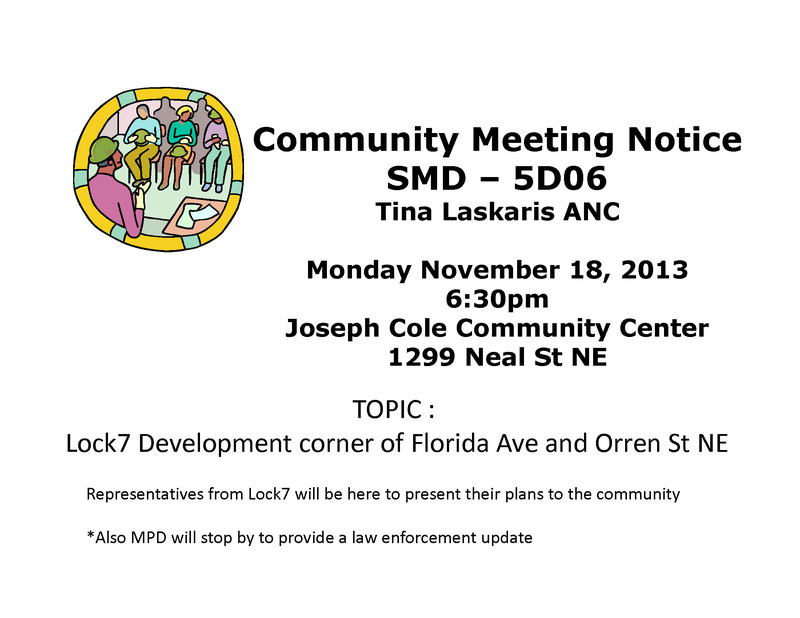 This month Lock 7 Development will discuss their plans for a project at the corner of Florida Ave. and Orren St. NE, and MPD will share community updates on crime and safety. 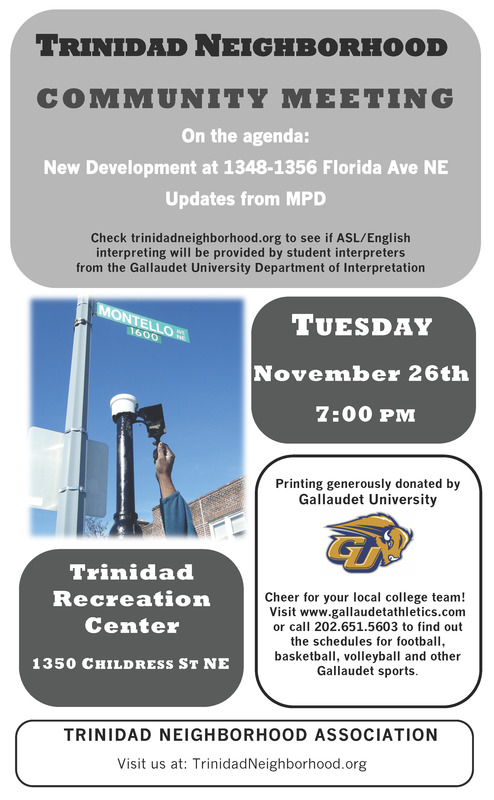 A big thank you to Gallaudet University for sponsoring our flyer printing. If you are able to help distribute flyers, please stop by 1218 Oates St. NE and grab a handful from the box on the porch—your assistance is much appreciated. As always, we’d love for you to share your community announcements! Join Commissioner Tina Laskaris (ANC-5D06) for a Single Member District meeting on Monday, November 18, 2013, 6:30 pm at Joe Cole Rec Center. The discussion will focus on the proposed Lock 7 development at the corner of Florida Ave. and Orren St. NE.